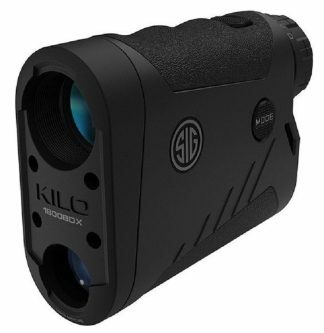 SIG SAUER BDX Range Finders Laser Rangefinder Always in Stock! The all New SIG Sauer BDX Range Finder Features SIG’S BDX (Ballistic Data Xchange) technology, SIG’s BDX Rangefinder is the most advanced range finder in the world. Once you pair the SIG Sauer KILO2400BDX 7X25 MM laser rangefinder with SIG’s SIERRA3BDX riflescope, Ballistics and drop data are sent via Bluetooth directly to the SIERRA3BDX’s BDX-R1 reticle, Which illuminates a exact holdover and windage dot on your BDX Rifle Scope, Simply move the illuminated dot to you targets impact point and pull the Trigger. You can Download the free BDX App for iOS or Android devices, Once the app is downloaded, input your ballistic profiles and synchronize the KILO and BDX Rifle Scope on the money ballistic solutions. 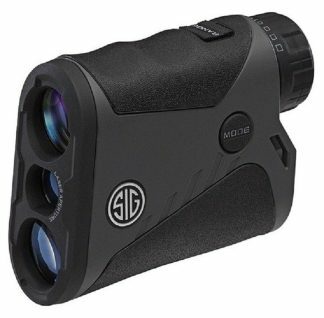 Shop SIG Sauer BDX Ballistic Data Xchange Rifle Scopes and Combo Packs!